Hey so Vectoring did get enabled on my line but I think there may be a fault with it. Every now and then, the CRC errors spike wildly out of control - like 40k in the space of a minute. The line doesn't drop however but its impossible to do anything on the internet until I reboot the router. This wasn't happening prior to vectoring being enable and when the connection ended up in the half finished state with only G.INP turned on, the errors were basically 0 and it never seemed to fail like this. Any chance one of you guys can check it out or should I contact spark faults? As this appears to have come up vectoring sepecifically related, Please DM me your details. I'll have a squiize and see if anything sticks out. call center won't do too well with your explanation as it's heavily complex, which probably isn't an ideal result! 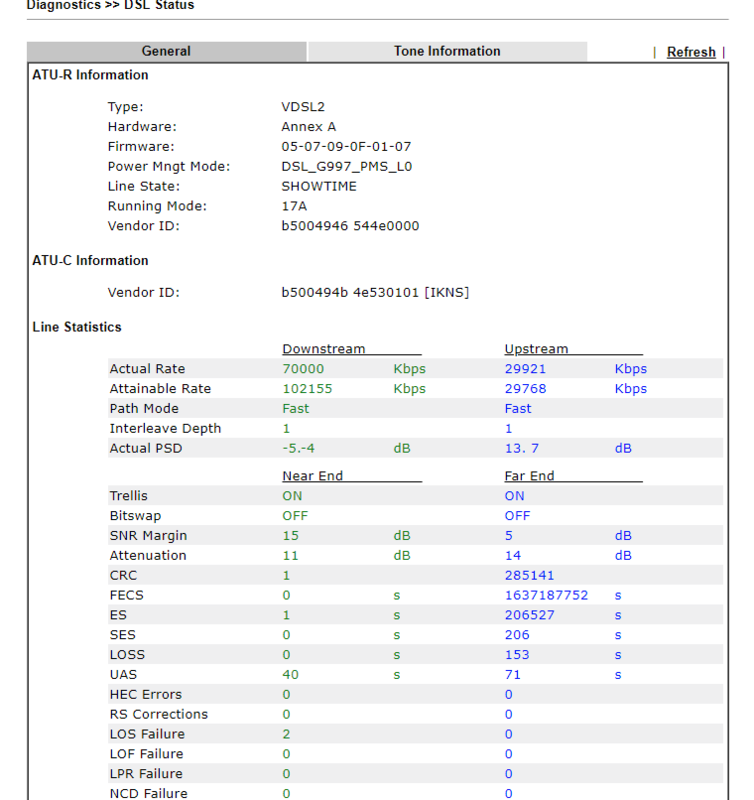 I haven't had any other flags from locals on WAK/B so may be unique to your modem/line. Vectoring will actually hurt your upstream more. The power limit in us0 17a is pretty killer... I don't recall you even fully occupying that! Speednet still reports full DL speeds how ever. First thing will be to install the latest firmware from earlier this year which includes fixes for vectoring if you are on a cabinet and have vectoring enabled on your line (your RSP can tell you this). Running latest FW for everything, been on 3.8.3 day it was released. Vectoring got enabled on modem instant my Cabinet was due for change, months ago. sounds to me like sra and vectoring doing it's thing tbh. Glad to hear ERL was to blame for your browsing issues, it didn't sound related to vectoring at all. i'd call my line pretty stable at this stage, months after vectoring has gone live and all the surrounding lines have settled in.. Still see a bit of movements. 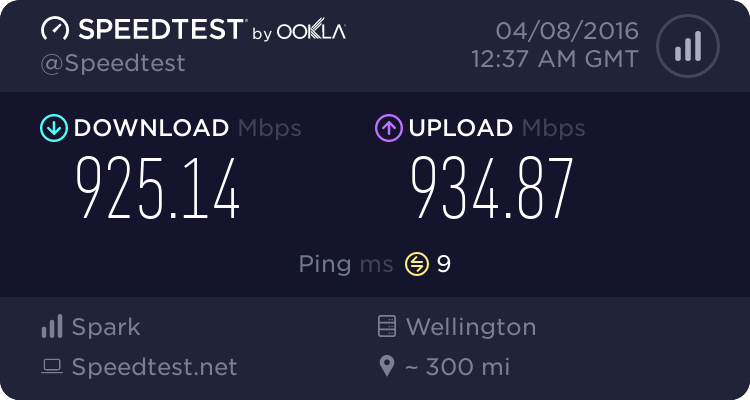 Just looking at my VDSL connection stats at home and I can see that I'm getting 70000 Kbps actual, but showing an Attainable of 102155 Kbps. My cabinet is just down the street from me. Am I being throttled back for some reason by 2Degrees (my ISP broadband provider)?